Sunday night is Game Night! But we ain’t playing Tag – it’s FOOTBALL! I Feel Pretty confident that this Super Bowl’s gonna be Poppin’! Players will be Ready. Patriots’ Alpha Tom Brady (aka the First Man of modern football) is back for another year, along with his Wife Gisele Bunchen in the stands (Here We Go Again), facing off against the Rams’ Jared Goff. If the Rams are victorious, it’s safe to say A Star Is Born. I have A Simple Favor: let’s keep the game Crazy – and maybe even go Into overtime so I can get free Buffalo Wild Wings. We need some sufficient Blockers on defense. Something tells me there will be A Wrinkle in Time, possibly during minute 22 of the Second Half. The stadium with a Clock in Its Walls will be re-set multiple times. The Fallout will be tremendous. 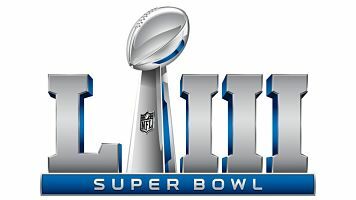 On the Basis of past history, this year the Super Bowl will probably be longer than the ridiculously shortened Oscars. We’ll all be Super Troopers going into work and school the next day. Which commercial will Break the Internet? And I Imagine Maroon 5 will put on an Incredible show for their fans, but nothing will come close to the sports stadium experience of Queen singing “Bohemian Rhapsody” at Live-Aid. And while I’m at it… #FLYEAGLESFLY!